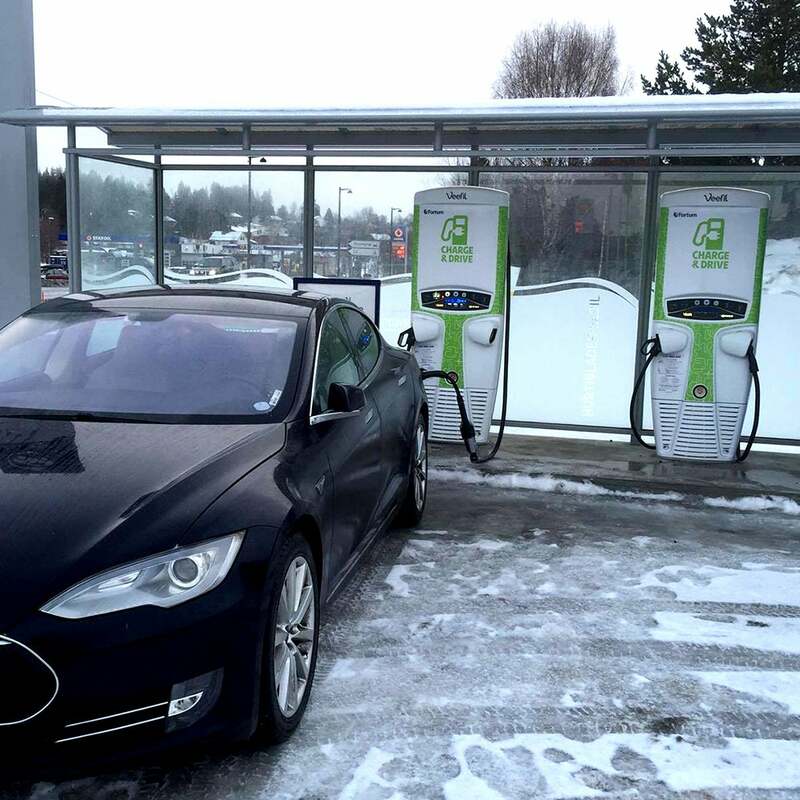 Electric vehicle (EV) charging solutions have been around for some time - as stand-alone, non-integrated solutions for petrol forecourts. Until now. 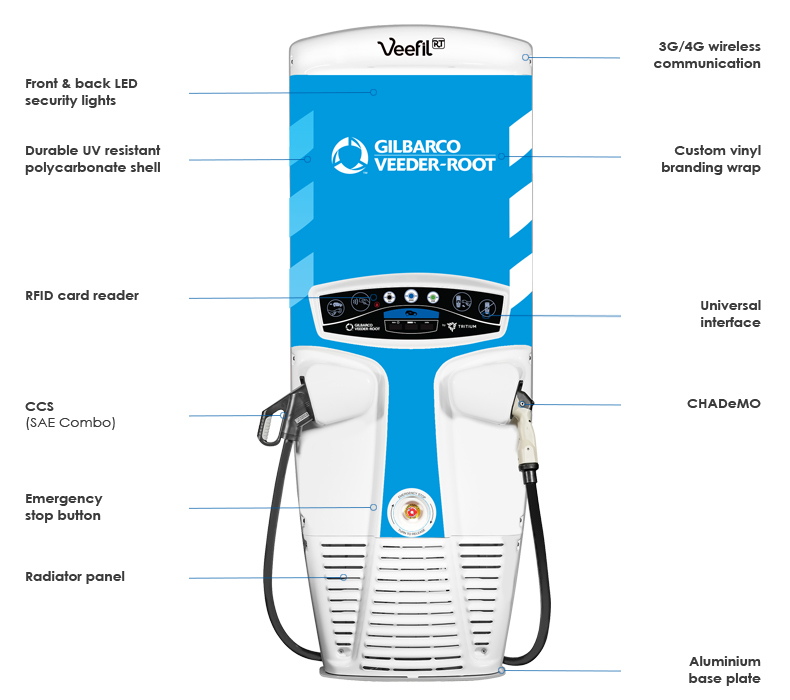 The Veefil-RT 50kW DC Fast Charger is the latest addition to Gilbarco Veeder-Root’s portfolio of solutions for a fully connected forecourt. Simple and quick to install, with high interfacing capabilities, the Veefil-RT allows seamless integration of the latest EV technology into your site, in the least disruptive manner. Unlike other solutions, with the Veefil-RT you can start reaping the benefits of EV technology from day one. It’s your site, your space, your chargers, your customers, your data, and your profits. Electrification is inevitable and the EV revolution is here. Make sure your business is ready for the journey. 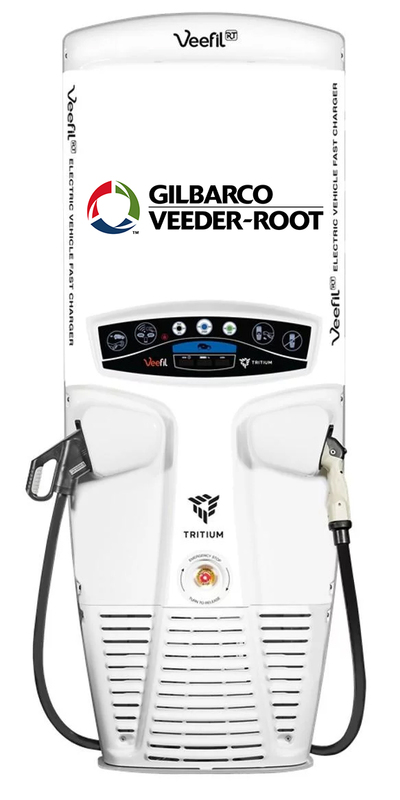 The Veefil-RT has the world’s smallest footprint for an electric vehicle fast charger, offering owners greater flexibility in the choice of installation locations. Being easy to install, the lightweight Veefil-RT delivers reduced set-up costs and a faster installation time, so charging services can be offered sooner. The Veefil-RT is designed for optimal functionality over a wide range of environmental conditions, including temperature, humidity, and corrosive conditions. The Veefil-RT has a wide operating temperature range of -35 to +50 degrees Celsius (-31 to +122 Fahrenheit) and offers ingress protection of IP65, Nema 3R. The Veefil-RT features unique and patented liquid cooling technology, which controls heat and reduces wear on internal components. Increase your kerb appeal and make your site stand out with the distinctive Veefil-RT. Offering a wealth of branding options, from bespoke vinyl wraps to customisable polymer outer mouldings, for seamless integration into your forecourt. 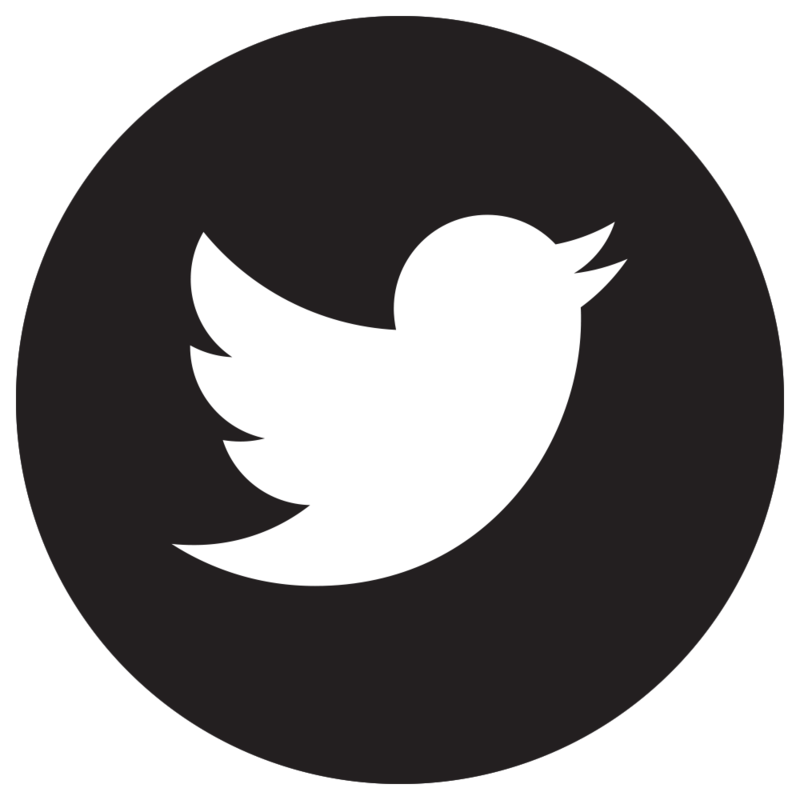 The Veefil-RT speaks one universal language through its simple and intuitive User Interface. Illuminated icons walk users through the charging process for the ultimate ease of use.